Recently a song recurred on my iPod so frequently that I found myself singing it without knowing what it was or who it was by. 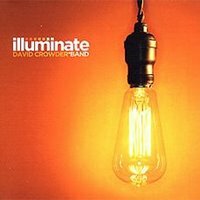 From time to time I would hear myself: “it’s just you and me here now.” I Googled the lyrics I could remember found it was a David Crowder*Band song off of their Illuminate CD (2003) which I purchased more than 5 years ago. The time must have been right for this song that had flown under the radar for 5 years to get into the heavy rotation of my inner jukebox. This Sunday our praise band plans to introduce “Only You” to our congregation. Regular readers of this blog know that our congregation is in the midst of a series on family systems theory. This Sunday’s topic is how we can at times get so focused on the details that we miss the big picture. That is true in many aspects of our lives including our relationship with God. Only you and me here now. Last week I wrote how I was glad that “Our God” by Chris Tomlin and others, is not “My God.” Yet on this song, I appreciate the singular of “just you and me.” I sometimes need to be reminded that Jesus loves me individually. Jesus doesn’t love me because he loves everyone and I am under that umbrella. Rather, Jesus loves me and you – who we are right now. He may not like everything we do but he loves you and me. I like those moments when I sense that it is just me and God, those times when I am giving Him my full attention, and I feel that He is giving me His. My hope is that next week there will be those in our congregation who will find themselves singing the words to this song, focusing their attention toward the One who fully loves them. Oh, and if you come to worship, be sure to listen to the intro Brad plays. It’s slammin’.